Tales from Topographic Oceans is the sixth studio album by YES, released in 1973 on Atlantic Records. Presented as a double album with one track on each side, its concept is based on singer Jon Anderson’s interpretation of four Shastric scriptures from a footnote in Autobiography of a Yogi by Paramahansa Yogananda. It is the first studio album to feature drummer Alan White, who replaced Bill Bruford in 1972. Tales from Topographic Oceans became the first album in the UK to earn a gold certification prior to its release. It reached number-one on the UK Albums Chart for two weeks and peaked at number 6 on the Billboard 200. The Definitive Edition. It doesn’t get better than this. All the mixes are presented in better-than-CD-quality Audiophile 24-96 HD Audio and have been approved by the band. Both editions include a 20 page booklet featuring previously unseen artwork by Roger Dean, an essay by Sid Smith and additional photos and memorabilia. Available now at Amazon on 1 BluRay & 3 CDs (with more extras) or 2 DVD-As & 2CDs. Tales From Topographic Oceans is the fifth in a series of expanded Yes editions including 5.1 Surround mixes, new stereo mixes and High-Resolution stereo mixes of the original music. Additionally, both sets add extra material mixes on CD, while the Blu-Ray edition adds a wealth of extra audio material. Steven Wilson has produced the new mixes with the approval of the band. Both editions feature restored artwork overseen and approved by Roger Dean with an expanded booklet containing new sleeve-notes, photos and archive material making this the definitive edition of the album. CDs feature a completely new stereo album mix by Steven Wilson, a new mix of Dance of the Dawn and five new single edits (both editions). Hybrid DVD-As feature 5.1 Surround mixes and High Resolution Stereo mixes of the album mixed from the original multi-track tapes along with the original mix of the album – all at 24/96. Blu-Ray features all of the above – 5.1 mixes in DTS-HD MA, new mixes at 24/96, original mixes at 24/192 in LPCM Stereo + additional music including new instrumental mixes, new single edits, a complete album of alternative takes (including two previously unreleased sides – one studio, one live) and needle-drops of an original UK vinyl pressing and a US banded promo album pressing. Special packaging for both formats, CD/DVD-A set in two double digi-packs in slipcase, CD/Blu-Ray in two mini vinyl replica gatefold card sleeves in slipcase. Additional CD in Blu-Ray edition allows for the inclusion of the complete alternate album takes on CD. This is the only version of Tales From Topographic Oceans to have been completely remixed from the original multitrack tapes since 1973. In keeping with all the other releases in this series, Steven Wilson’s approach for new stereo & 5.1 mixes is to faithfully retain the spirit & sounds of the original album mix, while applying modern mix techniques to bring further clarity to the individual instrument, vocal & overdubs for each track. 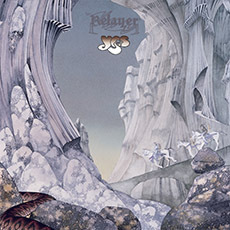 The songs, instantly familiar to a multitude of YES fans, remain so, with the new mixes – especially in 5.1 form – providing a greater sense of space for each voice to be heard. Anderson’s voice seems to join the listener in the room, Howe & Wakeman’s solos glisten with clarity and White & Squire remind all that they were unmatched as a rhythm section during that period. “My remix of Tales From Topographic Oceans will be the fifth in a series of expanded YES classics, released in 3CD/Blu-Ray and 2CD/2DVDA configurations. 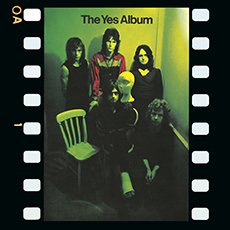 The album has been remixed in both stereo and 5.1 surround sound from the original multi-track tapes and approved by YES. I worked on and off for about 3 years on this new mix in my quest to do it justice, so I’m very happy to see it finally being released. Tales from Topographic Oceans Remastered in 2003 from the master tape of the original 1973 Eddy Offord mix. This Remaster of Tales from Topographic Oceans is also available as part of the ‘Studio Albums 1969-1987‘ Box Set at Amazon. Tales from Topographic Oceans is also available as part of the High Vibration SACD Box Set at Amazon. YES‘ successful tour of Australia, New Zealand, Japan, UK and the US came to an end in April 1974. For the band it was not before time. Jon and Chris had gone through a period of heated disagreements over their music which had caused a serious rift in their relationship. However, it never became serious enough to cause a major split and the band survived. The world tour had ensured that the band had long periods of time in which to write new material and exchange ideas for the next album. Everyone agreed that they would concentrate on longer pieces of music, carrying strong themes, or stories, and covering entire sides of the album. The concept for Tales from Topographic Oceans had already been chosen, covering subjects such as religion, medicine, music, art, society and architecture, and it would be a mammoth project that would engulf the band over the next five months. No other band had tried anything like it before and it was a big risk, although one that Jon and Steve had total belief in. While touring, Jon and Steve underwent intensive writing sessions, often leading into the early hours of the morning. The first two sections of the album had been organised mid-way through the US tour and, by late April 1973, the third and fourth sections had also been sketched out. The pair presented the concept to the band back in the UK – with a decidedly mixed reaction. At first, they were taken back by the sheer scale of the project and the key concepts, and not convinced that this was a positive step forward from Close To The Edge. The band suffered differences of opinion over suitable recording studios. Jon, Steve and Alan wanted to record away from the hustle and bustle of city life – to actually record in a forest or field, taking the album’s concept to the extreme, embracing nature, all its lifeforms, and the whole planet. Following many heated discussions as to how they could achieve the same effect in a studio setting, a compromise was made. During the first few months the band held rehearsals at Manticore Studios in London, followed by a move to Morgan Studios. The compromise was that Studio Three at Morgan Studios would be made into a miniature countryside, with straw bales to stand keyboards on, a white picket fence to keep Alan in, farm implements to add authenticity and, of course, a full-sized cow! Jon also had a bathroom built, copying his own from home with the exact tiles so he could recreate the same echo sounds he’s discovered while singing in the bath. 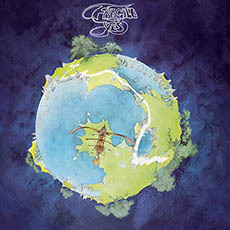 The album, which had originally been called Tales From Tobographic Oceans but changed to Topographic Oceans, was meant to consist of four tracks over one album. However, as time went by, the concept developed into a double album because the tracks began to get longer and longer, some running over 25 minutes, producing a total of only four tracks. This was a decision that would affect the band in a big way, guiding the style of music that would take YES forward over the next few years. The album, naturally, took Atlantic Records by surprise as they had no idea of the content and their feelings were kept decidedly mute. Seeing YES as a band who could exploit their previous success and make further inroads into the US market, Atlantic decided that their next album could and should be even bigger than Close to the Edge. However, when Atlantic first listened to it, the mood was one of sheer incredulity – only four tracks on a double album was unheard of at that time. Luckily for Yes, Atlantic ignored their own doubts and backed the release. The promotional tour for Topographic Oceans opened to mixed reviews at the famous Rainbow Theatre in north London. 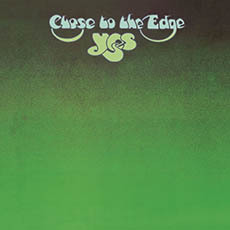 The critics had a field day panning the new album, which affected YES for quite some time, while the fans embraced the work. The album should have been aired on Radio One in the UK, prior to the tour and official release date but, due to a mix up, the wrong tapes were sent to the station. Because of this, YES lost their only chance of giving their fans a preview of Topographic Oceans before the tour started. Despite the public’s initial shock, Tales From Topographic Oceans hit the UK charts (two months later than expected) on 22 December 1973 and stayed there for fifteen weeks, reaching Number 1 in the UK in January 1974, whilst also making the Top Ten in the US Billboard chart. It went gold on pre-sales alone and was nominated for Grammy awards in the US. There is little doubt that, had the public and press been given the chance to hear the album first, then the reaction that was to come might have been moderated. Quite unlike anything before it, Tales From Topographic Oceans did receive some good press, but, for the first time, YES were also attracting negative reviews. With no time to acclimatise themselves to the work, the press could not comprehend the scale of what YES had done. The band’s gamble in playing all 80 minutes of the album, plus Close to the Edge, in the same set was just too much for them. Headlines such as ‘Over The Edge‘, ‘Wishy Washy Tales from the Deep‘ and ‘Adrift on the Oceans‘ ran in the same music papers that had recently hailed them as the best band in the world. This was a new experience for YES, whose relationship with the press had been extremely amicable up to this point. Ironically, back in September, YES had been voted Band of the Year in the Melody Maker 1973 Pop Poll Awards, defeating the likes of Led Zeppelin to the coveted position. The four tracks that made up Tales From Topographic Oceans were ‘>The Revealing Science of God‘, ‘The Remembering‘, ‘The Ancient‘ and ‘Ritual‘. A stunning album, light years ahead of its time, it is full of contrasts and a huge diversity of arrangements and styles: from simple acoustic sounds to the all-out, fast and furious guitar and keyboard runs, from ancient rhythms to eerie, esoteric lyrics and noises, all engineered to form a unique musical adventure. Yes started the Tales from Topographic Oceans Tour at Winter Gardens, Bournemouth in November 1973 and covered the entire country before ending in December. Following the fantastically successful collaboration between Roger Dean and his brother Martyn on the Tales From Topographic Oceans album cover, the Deans copied a number of stylistic features for the stage design. YES wanted to present their show as an extension of listening to the album, incorporating other elements to provide a complete sensory experience. Bill Turner, a roadie for YES between the years 1972-74 remembers, ‘I started to work with YES through Hemdale films. I basically humped stuff around on various YES tours. I did the famous five nights at the Rainbow Theatre for the Tales From Topographic Oceans tour. Whilst waiting for the US tour to start, Rick Wakeman began work on his next solo project based on Jules Verne’s science-fiction classic Journey to the Centre of the Earth, a huge financial undertaking that carried more than a few risks. Rick planned to record the album from an evening’s live performance at the Royal Albert Hall, where he would be accompanied by a five-piece electric band, the 60-strong English Chamber Choir and the 100-piece London Symphony Orchestra. Despite various setbacks, on 18 January 1974, Rick pulled it off. It was an enormous feat and subsequently the album was a huge success. Then, in February, YES began their Spring North American tour. As the tour progressed, it became clear that YES had taken a huge risk in a set list comprised only of Edge and the four sides of Topographic. Consequently the old favourites were reintroduced and two sides of Topographic dropped, increasing the divide that had already arisen between Rick Wakeman and the rest of the band. YES had a massive fan base and were achieving big sales at this point, something that they did not want put at risk by Rick’s unease. Press indifference to the album had resulted in heated discussions within the band. After speaking openly amongst themselves, it became obvious that it wasn’t just Rick who had not enjoyed performing Topographic Oceans on tour, but also Chris. Set against them were Jon and Steve, threatening a schism within the band. At the end of the tour, Rick decided to leave the band and,on 18 May 1974,his birthday,he quit YES and took refuge at his farm house in Devon, whilst his second solo album went to the number one spot in the UK charts. it is retained and used. sommes du soleil. We are of the sun. We can see. Tag your Tales from Topographic Oceans Instagrams #talesfromtopographicoceans to appear here.